I’m sorry about this, Will. Regarding rolling back your firmware: that’s beyond the scope of the service I can offer via a blog comment. I would recommend getting in touch with our tech support team about that by submitting a support ticket via your my.presonus.com account. Thanks! You can open mixer but there are no Record buttons. or you can’t use control panel with the Audioboc USB 96 ? Thanks, I’ve created an account and submitted a request. Hey Rob, great question, but I’m afraid it’s a little bit beyond my scope of expertise. I recommend submitting a ticket via my.presonus.com and getting in touch with our tech support crew. They will help you get to the bottom of this. Thanks! Does the AudioBox support multiple audio channels provided by Win10 Mixer? Example, if I have audio streaming into my PC from the internet while I also have audio coming from the Line IN or Mic IN of the AudioBox, can both audio streams then be routed to some 3rd party audio/video software I used to record? I’ve tried other products like Motu Ultralite AVB and Focusrite but their Win10 drivers are seriously lacking and can’t operate with any other PC audio source. MOTU, Focusrite drivers could ONLY work with a single audio source and seemed to have no understanding or knowledge of separate streams provided by default Win10 Mixer. the rollback to 1.3 is an effective workaround for part of the issue. and studio one 3.5+ can handle the zero latency monitoring if you do enough research. what i want to know is this, are the effects on the 1818vsl on-board hardware effects or are they software in the VSL program? like the fat channel effects is that built into the unit or is it all software? Very sorry about this Mike. Changes in the Mac OS X operating system (OS X 10.11 El Capitan) prevent the VSL control panel from functioning as designed. This was due to changes at Apple that were completely beyond our control. im pretty disappointed in the 1818vsl, the vsl aspect of the unit is literately half of the units value, imagine my disgust to find that the VSL is no longer there yet i paid full price for the unit WTF presonus. Hey J.P., contact us at the following link and we can help you get set up with the correct driver. i updated the drivers because my audiobox was not connecting, blinking blue and red, now i’m connecting but no mixer software The suggestion is to go back to previous driver that was causing a problem????? how am i suppose to work this out???? why remove a key piece of software that basically makes my audiobox unusable???? You’ve put me in a position where I have re-evaluate my commitment to PreSonus. Removing the zero latency mixing software was a strategic error. If the impetus for this was the newer versions of OS/X creating a problem in terms compatibility, then why screw the entire PC install base? I think it’s time to switch back to ProTools and get a different hardware vendor. In a single day, I’ve updated software and lost capabilities. Reverting to 1.3 legacy software is absolutely an unacceptable answer, because it puts everyone who does so in a guaranteed gauntlet of no future support. I would also recommend checking out the forum and seeing if you can get some insight from other users. It’s a known issue. Since you rely on VSL, I would recommend re-installing. Without VSL all monitoring for the 1818 is done in-DAW. Thanks for the reply but I’m perfectly aware of how to create a cue mix. What I’m saying is that when I create a cue mix with U.C. 1.8 installed the Zero Latency feature is gone. The letter “Z” is gone and direct monitoring is no longer possible. It has nothing to do with my ability to create a cue mix and has everything to do with U.C. 1.8. Should I reinstall, is it a bug or a known issue? What about the fact that using U.C. 1.8 kills the zero latency feature for myself and others using the 1818VSL? I can hardly find any info at all on the forums. I must say it’s pretty frustrating to install a recommended update that takes away essential features. I understand I can roll back to the old software but I’d like to know what if anything Presonus is doing about this. Thank you. Guys im using a studio one 3 artist but it has no project n no more tools bur i would like to have a studio one 3 pro indeed i hv no clue abt cost n how it wil cost me! In terms of which driver is better, it depends on your intended application. It sounds to me like rolling back to the version that supports VSL is the right one with you, assuming you’re running a version of OSX before 10.11. Thanks for your reply. But because of Mac, it’s no longer working on Windows ? That’s weird.. Anyway, is there any downside by going back to the older version of VSL ? Are UC 1.8 drivers better than the older VSL ones ? My point is that I don’t want to stay with driver/firmware version that will no longer be updated just because I want to have VSL Software. I used to use VSL with my AudioBox 22VSL to adjust the EQ while listening music through my Monitor speakers. Now that’s it’s no longer provided with UC 1.8, is there any way to do that ? If you’re seeing the waveforms in Studio One, the audio is being recorded—but if you don’t hear it on playback, something needs to be fixed in your output configuration. I play for Alto saxophone and Tenor Saxophone. I did buy audiobox with studio one 3 artist. I cannot recording and then after finish I touch play I no hear nothing. Can you tell me how easy for me start please? Hey there—VSL software has been discontinued. Read more about it at the following link. 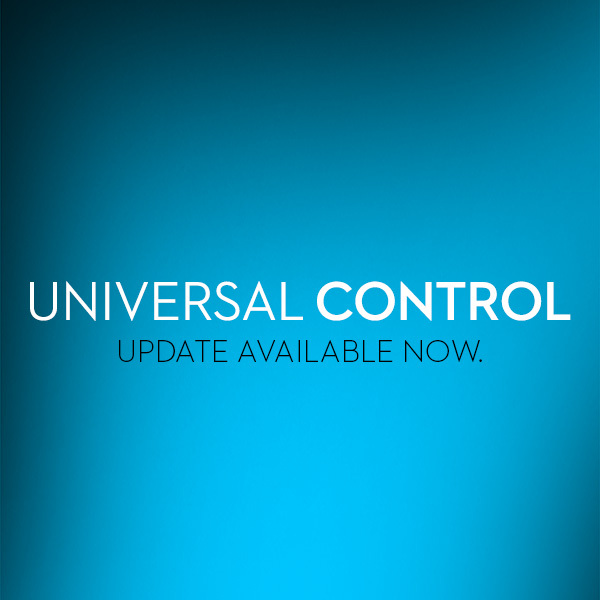 I’m a little confused about this Universal Control 1.8 update. It says its recommended for all Audiobox devices. I installed it and it seemed to have gotten rid of the old audiobox 44VSL software that I used to route things around and add latency free effects. Am i just confused or how do I get this back? StudioLive Classic mixers and FireStudio-series interfaces will be supported for MacOS 10.12 Sierra? Installed Universal Control on Windows 7.1 with Norton anti-virus. When I try to run it, Norton deletes the ccltext.dll file. I can run it with Norton turned off, but don’t want to do that most of the time. Reverting to version 1.3. I had to to go to song setup a set on my 1818 VSL out 7 and 8 as a cue mix, than it works fine for me. Maybe it helps you. Audiobox 1818vsl software for Os El capitan? UC has NO VSL which I use almost daily, so is of no use to me sorry. I use 1818 Audiobox. PS : UC 1.8 on OS X el capitan. Macbook pro mid-2015.